Cassandra spends time with students working on skills such as note taking, organizational strategies, time management, and executive functioning. Cassandra is happy to tutor students on developing their analytical and creative writing, and she can also tutor students as they manage the challenging content of summer reading. In addition, Cassandra has experience tutoring the verbal, reading, and writing sections of the SSAT and SAT. Cassandra loves to read, watch the Patriots and Celtics, and engage in numerous outdoor activities such as biking, golfing, tennis, and running. Cassandra is willing to drive 30-45 minutes from her home in Brighton, MA or 30-45 minutes from her location in Dennis, MA (Cape Cod). Conor is the Chair of the English department at an independent school in Waltham. He is a 12 year veteran of the independent school world, 9 of which have also been in a variety of educational and administrative roles. Conor has taught every grade from 7th to 12th and has experience with a variety of pedagogies and subject matters. A graduate from the University of Massachusetts Amherst, Conor also holds a masters degree from Middlebury College. He enjoys reading, woodworking, and the New England Patriots. Conor is willing to drive 30 minutes from his home in Waltham. David is a high school English teacher at an independent school in Brookline, MA. He has 26 years teaching experience and has taught all high school grades. 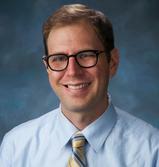 He has extensive experience teaching AP English Literature and IB English A1 SL and HL. He will work with your son or daughter on reading comprehension, analytical writing, or SAT preparation. He also has experience helping students develop college application essays and supplements. A graduate of the College of the Holy Cross, he holds a Master’s Degree from Middlebury College. Outside teaching, David loves spending time with his wife and three children, reading, and running. He is willing to travel up to 30 minutes from his home in Walpole. specialists at her school to help each and every student reach their full potential in the classroom. She currently works as a tutor at her current school twice a week for students who are having trouble keeping up their grades. She helps to guide them in learning effective time management and organization skills, and acts as a liaison with their teachers to help support them with their assignments. Kelsey is happy to tutor students in different science disciplines, various levels of math including Algebra, Precalculus and Calculus, or in navigating summer reading and AP assignments. She is able and willing to help with the development of effective note taking skills and organization of content. 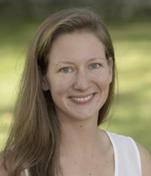 In addition, Kelsey has experience tutoring the math and verbal sections of the SSAT and SAT. In her free time, Kelsey loves to read, sing a cappella, and do crossword puzzles. Kelsey is willing to drive 30-45 minutes from her home in Medford, MA. in Comparative Literature from Western Connecticut State University. She is a published short story writer, and the author of four novels, Scraps of Eternity, Some Things are Better Left Unsaid, Home to Trout River, and Taking Flight, and is currently working on a collection of short stories and poetry. Erni is willing and able to tutor/assist middle and upper school students in writing and reading skills (including support for summer reading assignments), Vocabulary strengthening, Basic Math up to and including Algebra I, first year French or Spanish, and Study Skills, as well as College Admission Essay preparation. She is willing to drive up to 30 minutes from her Centerville home. Jeremy is a high school ESL teacher at an independent school in Reading. He has taught English for eight years, including AP Literature, American Literature, and British Literature, and he has taught ESL for two years. This included ABE (Adult Basic Education) and TOEFL Prep. He has also tutored students in SAT, ACT, and college essay writing. A graduate of Brown University, Jeremy holds a master’s degree in English Education from BU and possesses his TEFL certification. He enjoys playing songs on guitar/piano and listening to live music. Jeremy is willing to drive 30-45 minutes from his home in Woburn. is able to meet students at their level and quickly identify any gaps in learning. Mike is available to tutor all math subjects from Pre-Algebra through AP Calculus and beyond, as well as standardized tests like the PSAT, SAT, ACT, and SAT II subject tests. He can also help students prepare for high school chemistry and physics. Outside of the classroom, Mike enjoys hiking, cooking, rock climbing, and doing recreational math. He lives in the mid-region of the Cape and is willing to drive up to 45 minutes for a tutoring session. 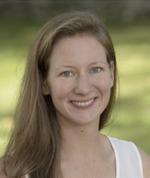 Teresa is an upper school mathematics teacher at an independent school in Brookline. She has been an independent school math educator of 30 years (M.Ed), both in boarding and day schools. Teresa specializes in Pre-Algebra, Algebra I, Geometry, and Geometry Honors. She is also a qualified ISEE, SSAT, and HSPT test prep teacher. Outside of the classroom, Teresa enjoys walking, cooking, and crocheting. She lives in Newton and is willing to drive 30 minutes. Comparative Literature from Western Connecticut State University. She is a published short story writer, and the author of four novels, Scraps of Eternity, Some Things are Better Left Unsaid, Home to Trout River, and Taking Flight, and is currently working on a collection of short stories and poetry. Erni is willing and able to tutor/assist middle and upper school students in writing and reading skills (including support for summer reading assignments), Vocabulary strengthening, Basic Math up to and including Algebra I, first year French or Spanish, and Study Skills, as well as College Admission Essay preparation. She is willing to drive up to 30 minutes from her Centerville home. David is a high school English teacher at an independent school in Brookline, MA. He has 26 years teaching experience and has taught all high school grades. He has extensive experience teaching AP English Literature and IB English A1 SL and HL. He will work with your son or daughter on reading comprehension, analytical writing, or SAT preparation. He also has experience helping students develop college application essays and supplements. A graduate of the College of the Holy Cross, he holds a Master’s Degree from Middlebury College. Outside teaching, David loves spending time with his wife and three children, reading, and running. He is willing to travel up to 30 minutes from his home in Walpole. Jim is a history teacher at an independent school in Waltham. 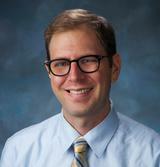 Currently, he teaches 11th grade US History, but he will be expanding his course-load next year to include 10th grade World Civilizations II and a senior elective, Criminal Justice. In his courses, Jim emphasizes writing skills. He is happy to tutor students to improve their analytical and creative writing. He also tutors the verbal, reading, and writing sections of the SSAT and SAT. In addition to teaching, Jim coaches soccer, basketball, and softball. He is also an avid skier, mountain biker, and chess player. Jim is willing to drive 30-45 minutes from his home in Charlestown. subjects from Pre-Algebra through AP Calculus and beyond, as well as standardized tests like the PSAT, SAT, ACT, and SAT II subject tests. He can also help students prepare for high school chemistry and physics. Outside of the classroom, Mike enjoys hiking, cooking, rock climbing, and doing recreational math. He lives in the mid-region of the Cape and is willing to drive up to 45 minutes for a tutoring session. Lloyd is a graduate of Ithaca College and has worked as a band director for various schools for various levels. While living in Vermont, Lloyd had numerous leadership experiences as the lead conductor in multiple district level festivals. He is currently the Band/Jazz Director at an independent school in Southborough. As a trombonist, pianist, percussionist, and vocalist, Lloyd is able to tutor beginning piano, beginning wind, brass and percussion and advanced brass and percussion. Lloyd can also tutor beginning to advanced music theory and jazz improvisation. His specialty is brass instruments and percussion. As a drum set player, Lloyd can tutor all styles. Beginning band students looking to get a head start before they begin instruments can study and learn the basics before starting in the fall. Lloyd is willing to drive 30 minutes from his home in Southborough. Having served in a variety of administrative and teaching capacities in independent schools for the last 13 years, Kara brings a wide variety of experience to Spanish language and ESL. Born in Mexico and having studied in Mexico, Cuba, Guatemala, and Spain, she possesses both an understanding of the language as well as the best methods for learners to develop their language skills. 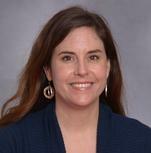 She has taught students in grades four through nine and is excited to work with Spanish learners of all levels. Kara believes firmly that students succeed best when they find excitement in their learning. She works diligently to help students discover what they are passionate about and to guide them in their journey as lifelong learners. Kara currently teaches Spanish at an independent school in Southborough, and she is willing to drive up to an hour away from her home in Lunenburg. Spain and Costa Rica. She also coaches soccer and lacrosse, and she advises the Pink Ribbon Club, helping students to fundraise and raise awareness for breast cancer research. In her free time, Jess loves to get outside and play! She is a yoga instructor, she enjoys paddles on her SUP, and she plays in a summer lacrosse league. Jess also dedicates her time to volunteering at Falmouth Commodore games, the Falmouth Library Book Sale and the Wood’s Hole Film Festival. Jess lives in Falmouth and is willing to travel to towns of Falmouth, Bourne (on the Cape side of the bridge), Sandwich, Mashpee, Cotuit, Marstons Mills, and Osterville.